There are so many childcare options available it can be difficult to decide. Poppy Lane is a dedicated team of consultants who offer advice on all types of childcare. We have offices in London and Bath and place permanent and temporary candidates in London, the UK and internationally. We are recommended by The Good Nanny Agency Guide. For more information, please visit their website. Nannies are responsible for the well being of your children. Whether it is in a sole charge capacity or working alongside parents, they take care of cooking meals for your children, organising age related activities, nursery duties and any other tasks you agree on before the nanny starts working for you. A nannies working hours vary from family to family but they normally expect to work 10 – 12 hours a day with 4 weeks holiday. Nannies are generally not expected to undertake heavy duty housework or any other chores unless agreed in advance. Having clear expectations outlined and being pro-active in communicating with your nanny is key to a long and happy working relationship. 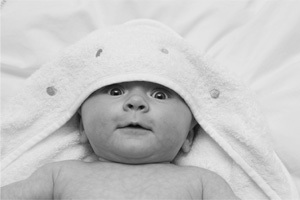 A private maternity nurse is a trained nurse, MNT or NEST qualified professional with extensive newborn baby experience. Lots of maternity nurses have more than one qualification. A maternity nurse works 5-6 days a week for 24 hour periods and lives in with the family although other types of options are available, working days or nights only. Maternity nurses are responsible for caring for the newborn baby or babies and post natal mother. A maternity nurse offers expert advice on feeding, bathing, changing and settling babies and are there to support new parents in a general capacity. Specific help may be required for breast feeding or after a caesarean birth or due to unfortunate ill health after delivery. A maternity nurse is not there to take over, but to work with parents offering reassurance, listening, encouraging and guidance so they become confident with their new baby. We have maternity nurses with specific qualifications and expertise with twins, triplets, postnatal depression and Caesarean section births. We HIGHLY recommend booking your maternity nurse as far in advance as possible. All our childcare candidates have at least 2 years of childcare experience, First Aid certificate, Criminal Records Bureau Disclosure (CRB) and 2 employment references. We do place childcare candidates without qualifications but they have to have relevant experience and our clients can make specific requests for qualified candidates. For employment contract advice, please contact us.